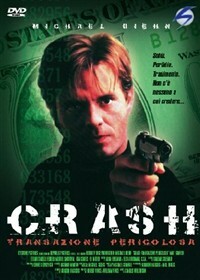 Casey (Biehn) is a low-level courier for a criminal enterprise led by Carlo Sanchez (Sandoval). Casey comes into possession of “The Disk”, a CD-ROM (presumably, because this was the 90’s) that has information leading to 40 million dollars’ worth of criminal earnings. 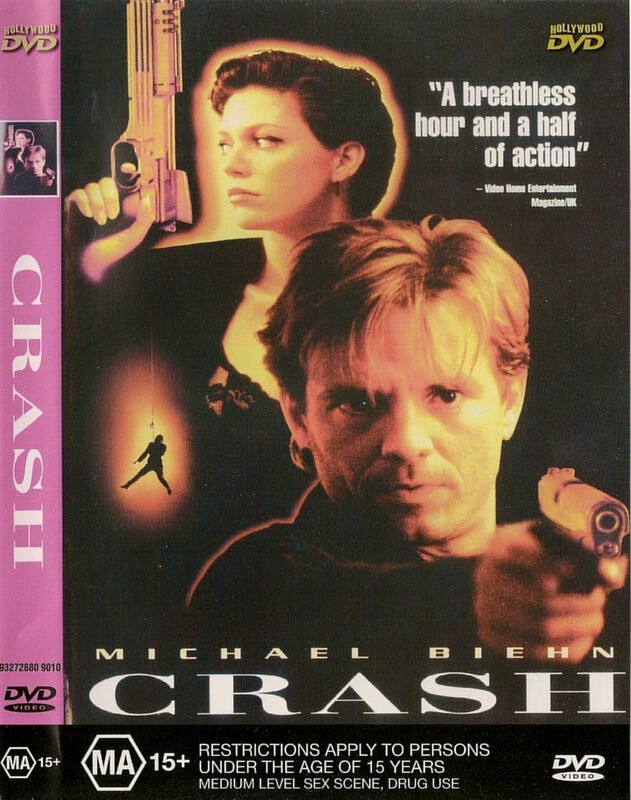 When undercover cop Madeline (Sarelle) becomes involved because some corrupt government agents are on the take and also want The Disk, soon Casey and Madeline are on the run from many bad guys who are after them because they want “The Disk” as well. Not the least of which is scary executioner Bracco (Kulich, last seen in Crackerjack, 1995 and Red Scorpion 2, 1994). The BIG boss of it all is Kreuger (Lauter). Will Casey and Madeline ride off into the sunset together - or is there just too much shooting? While the first part of this movie gets off to a weird start, the many character actors involved throughout the film make you forget about the odd pace (which eventually becomes more normal). We’ve seen many, many movies where “The Disk” is something both the good guys and the bad guys want, and here is no exception. A lot of the scenes are dark, just like the other Biehn vehicle American Dragons (1998). It must be in his contract that his movies use less lights. Speaking of Biehn, here he’s more animated than usual and really turns on the charm. Ed Lauter should have been in more of the movie, his is basically a bit part. His accent is suitably menacing, however. The similarities to Crackerjack continue...and yes, there is some classic 90’s computer gobbledygook on show as well. While they really went crazy with the scenes of mindless gun-shooting, perhaps the movie could have been trimmed a bit. 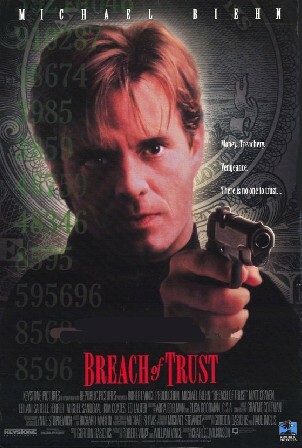 It may seem like quibbling, but Breach of Trust probably didn’t HAVE to be 96 minutes. It should have been 90 or less. Demanding more than that of audiences for this type of fare is kind of pushing it. But the presences of Biehn, Sandoval, Kulich, and Lauter, not to mention further fan-favorite familiar faces such as Matt Craven and Kim Coates certainly soften the blow. We weren’t overly familiar with Sarelle but she does a good job as the tough cop but who also can’t resist the overpowering winning smile of Casey. Shot in Vancouver, B.C. Canada, Breach of Trust isn’t mind-blowingly different (and something happens at the end which is...odd) but it provides decent entertainment. That is some good dedication! There's nothing wrong with being a true fan.